An extraordinary expression of the art and craft of watchmaking, this incredible timepiece combines classic tourbillon technology with expressive contemporary design. 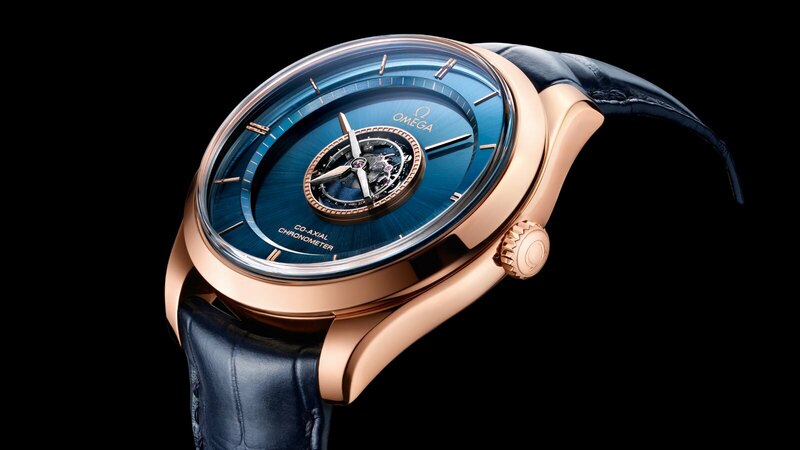 The newly-designed 44mm tourbillon case is crafted from 18K Sedna™ gold, as are the “flying hands”, which are applied to a sapphire crystal, and the brushed seconds hand that is set within the tourbillon titanium bridge. The dial and the inner ring are sun-brushed 18K Sedna™ gold treated with blue PVD, while the elegant 18K Sedna™ gold second markers form a ring in a railroad design obtained by laser ablation. The words “Co-Axial Chronometer” and the OMEGA symbol in 18K Sedna™ gold were revealed when the PVD treatment was removed. 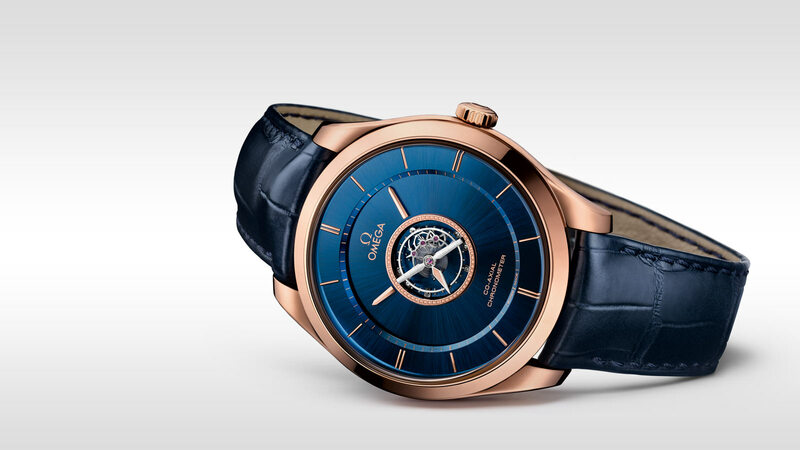 Presented on blue leather strap with an 18K Sedna™ gold clasp, the outstanding chronometric performance is achieved through OMEGA’s exclusive calibre 2638. Finally, the caseback is embossed with a medallion featuring Chronos, the God of time, and with the tourbillon’s own serial number. Self‑winding movement with Co‑Axial escapement. 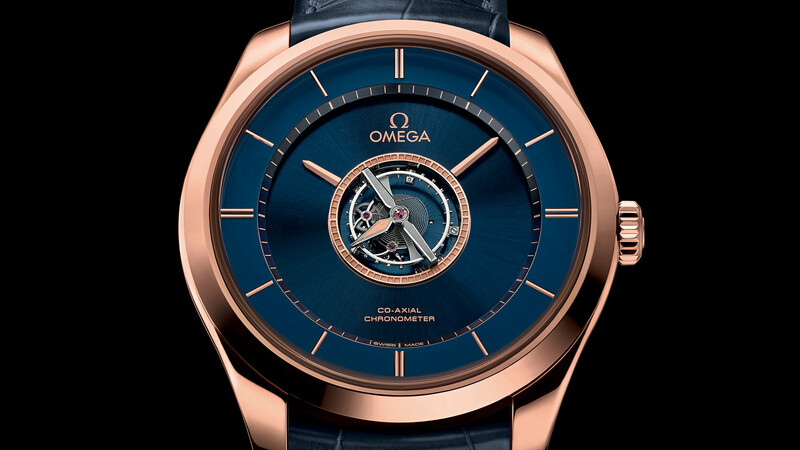 Blue PVD coated tourbillon base with sun‑brushed finishing, hand polished bridges and mechanisms, Breguet balance‑spring, 950 platinum oscillating weight. Titanium tourbillon cage rotates completely once every minute. Watchmaker’s initial on the back of tourbillon’s main plate. Officially certified chronometer.